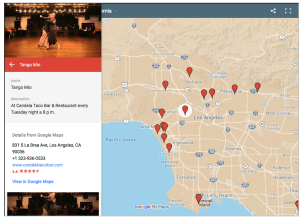 The only tango shows I have seen were years ago: Luis Bravo’s “Forever Tango” on Broadway and Estampa Portenas “Tango Fire,” at Pepperdine University’s Smothers Theatre. 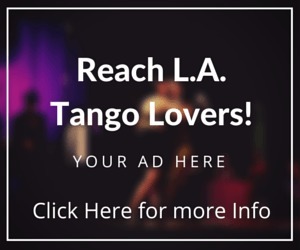 “Once Upon a Tango,” a local Los Angeles tango show produced by Guillermo De Fazio and Giovanna Dan, is the complete opposite — and is a uniquely delightful show. The two were large productions, with a great many dancers, orchestras and resplendent costumes. 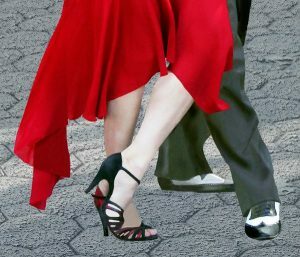 Expert tango performances with plenty of flash and flair are the norm in such lavish productions. It played only two performances at The Colony Theatre Company in Burbank on Jan. 20. A friend of mine said the show reminded him of those produced in Buenos Aires, Argentina. 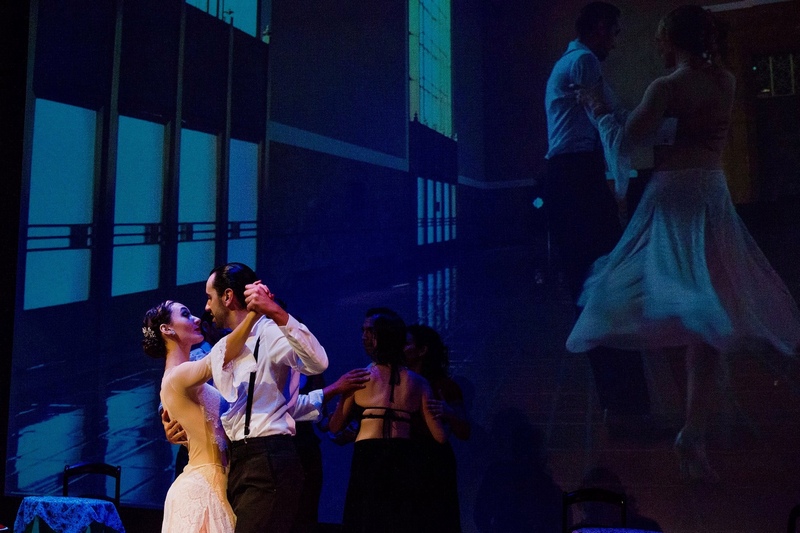 I have never seen any tango shows there, so to me “Once Upon a Tango” was something completely fresh and distinctive. 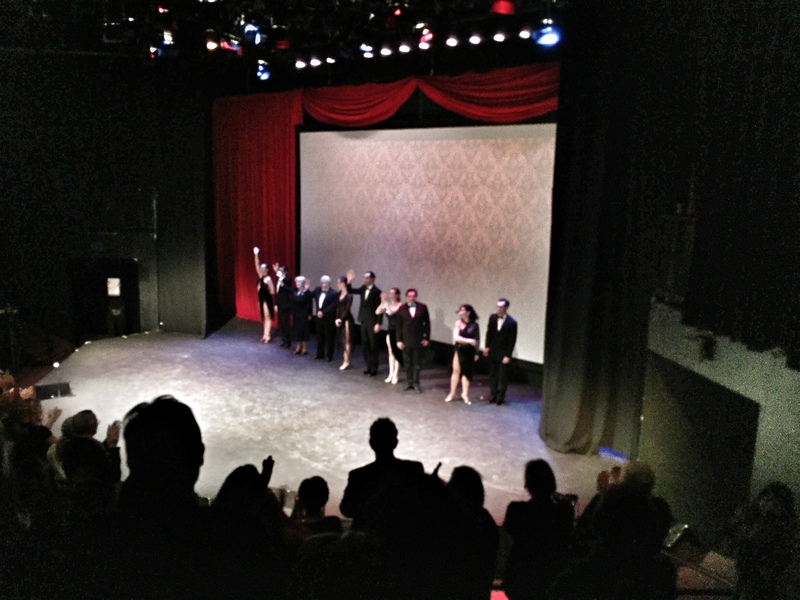 The show received a standing ovation. 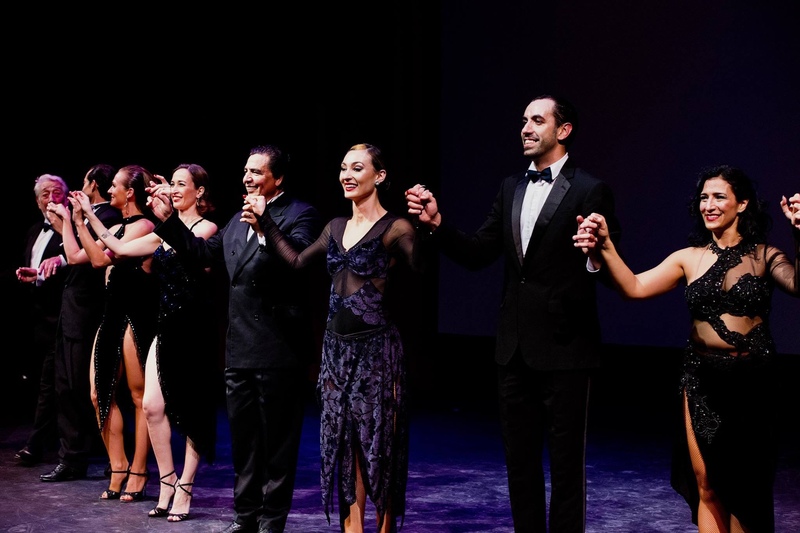 Joining De Fazio and Dan on stage were visiting Argentine tango professionals Armando Orzuza and Nuria Martinez, locals Julie Friedgen and Angel Echeverría, Claudio Predieri, Romina Rodriguez, Damian Acosta, and Elizabeth Roccella. 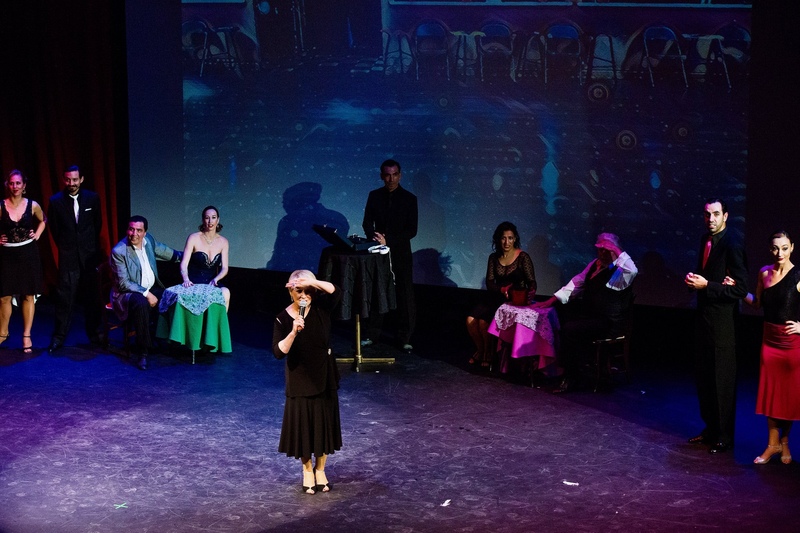 Rather than do straight up dance numbers, the show focussed on the storyline of a young woman who writes in her diary about discovering tango. 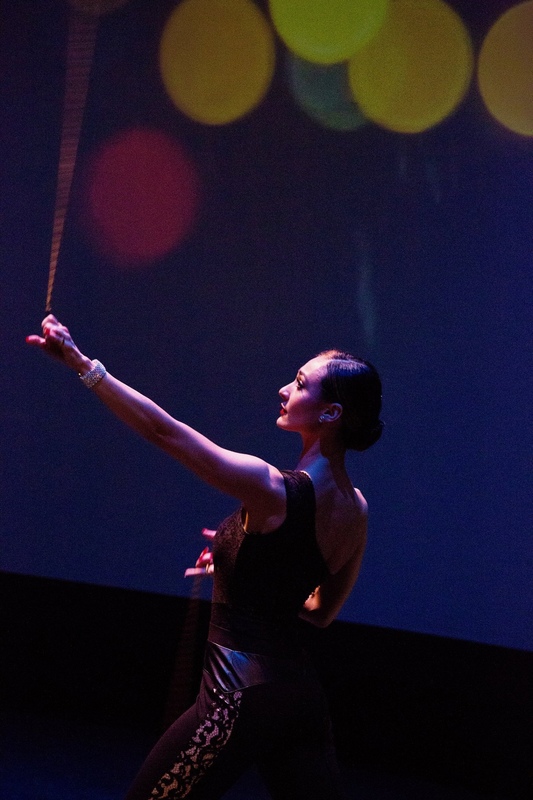 It follows her developing passion for the dance and, of course, a partner she meets, and the resulting disappointment when he leaves her for another. 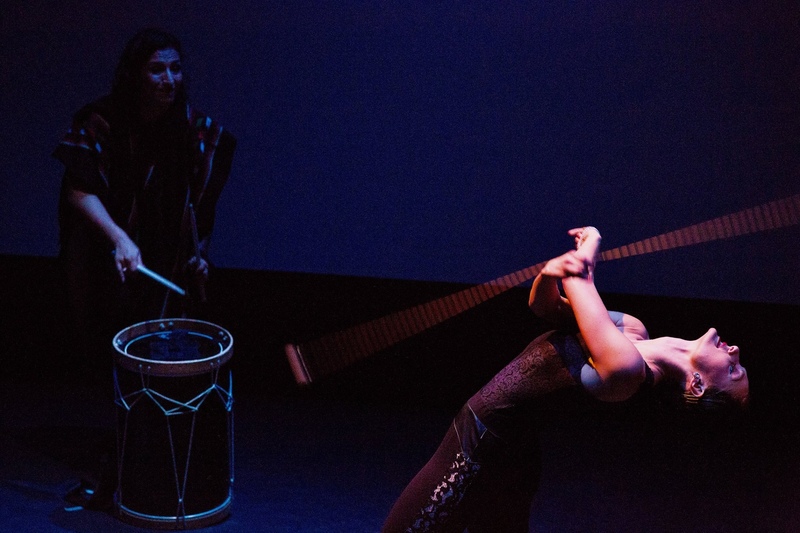 A voiceover narrative wove the story together with images and video projected on a screen behind the stage, while the performers danced. During one marvelous scene, De Fazio and Dan danced a waltz while a video played in the background of them performing to the same song, with the exact movements, and wearing the same costumes. 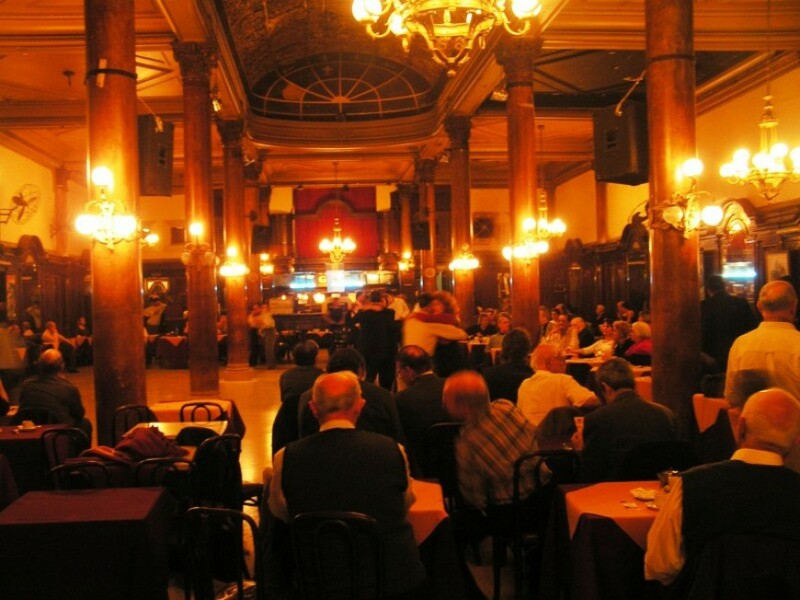 Some scenes during the show were set as a milonga (tango dance social) with tables and chairs, and images of a local milonga, El Encuentro at the Tango Room, displayed on the background screen. 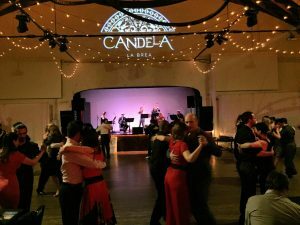 The fourth wall was broken when during one milonga scene, Friedgen, who with Echeverria are the actual hosts of El Encuentro, spoke to the audience and conducted a raffle, which they do at their real milonga every Saturday night. Free lessons and entrances to El Encuentro were raffled. 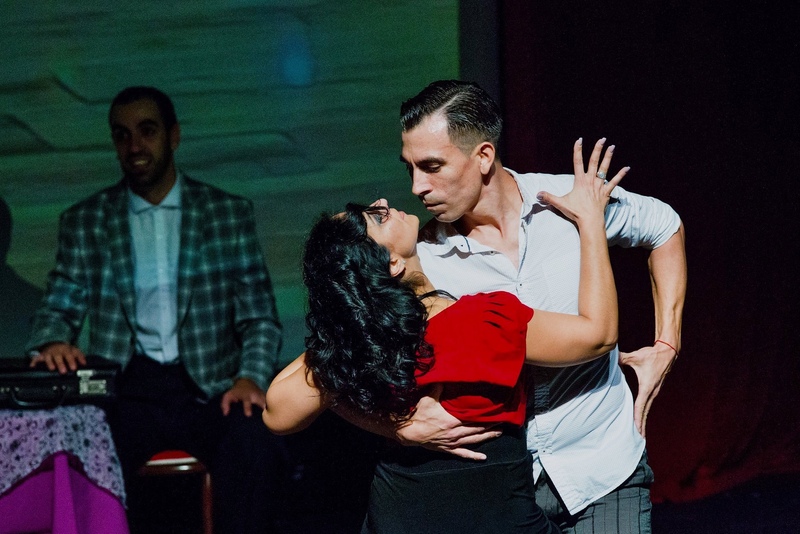 The dance numbers were well choreographed, and while scheduled star performers Laila Rezk and Leandro Oliver could not make their appearance due to visa problems, the overall show was wonderfully executed. 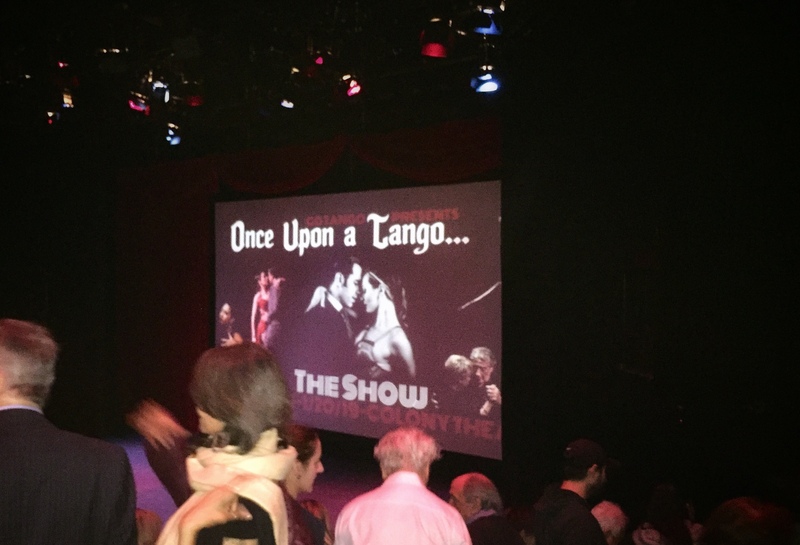 It certainly was a great introduction to those who are not familiar with tango, as my guest noted.